Many women who reach menopause often feel as if their attempts to lose weight are in vein. They cling to the belief that hormonal changes make it impossible to achieve weight loss success. Here are six steps on how to lose weight during menopause. Weight gain is one of the most frustrating symptoms of menopause. The change is drastic. It is noticeable in your clothing size, the shape of your stomach and a very visible bulge around your waist. You start gaining during premenopause and it continues into menopause. This unexplained weight gain is usually caused by hormonal changes. The changes in your hormones are bought on by menopause. This results in hot flashes, food cravings, irregular sleeping patterns and weight gain. The amount of weight a woman gains depends on her activity level and the individual. However, it is not common for a menopausal woman to see an increase of two to ten pounds over a two-year period. If you have gained weight, then you can correct your metabolism and lose weight. Diet plays a major role in the way menopausal women act and feel. The foods you eat can suppress your menopausal symptoms or make them worse. Women who go through menopause have an increased risk for heart disease. It helps to include more fish in your diet. Fish is high in unsaturated fats, which are the good fats. You want to eat fatty fish like albacore tuna, sardines, lake trout, herring, mackerel and salmon. These fish are high in omega-3 fatty acids. Omega-3 fatty acids can decrease your risk for diabetes, Alzheimer’s, rheumatoid arthritis, hypertension and heart disease. It also helps with the preservation of your breast, heart and bone health. The human body cannot produce essential fatty acids (EFAs). You have to get EFAs from food. The two forms of essential fatty acids are omega-3 and omega-6. These EFAs are found in every cell in your body. If you can’t or won’t eat any of these foods, then you can also take an omega-3 Supplements. There are many types available on Amazon. Women need two servings of fish a week. If you cannot get enough of these foods in your diet, then you can take the supplement. However, you should talk to your doctor before making this decision. Eating fish helps you lose weight because you have to eat a healthy diet. Menopausal women need to eat foods that are low in fat and high in iron and fiber. This type of diet helps with managing and reducing symptoms related to menopause. 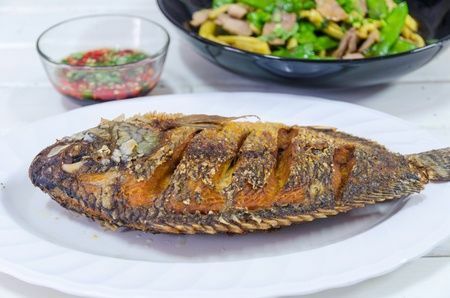 Fish is a good source of protein and contains a variety of minerals and vitamins. As you get older, you need more protein. It plays a vital role in helping your body recover from surgery, infections and illnesses. You can choose from frozen, fresh or canned fish. However, you want to check the amount of salt. Smoked and canned fish is often high in salt. If you live a healthy lifestyle and it continues at the onset of menopause, then you can lower chance for stroke and heart disease. Your metabolism functions to the best of its ability when your hormones are balanced. One of the best ways to create this balance is with clean living. Toxins are in your cleaning products, cosmetics, water and food. Items that have toxins are filled with chemicals. This can result in your health and weight going into a state of havoc. The solution is to get involved in clean living. To get started with clean living, you want detox your body. Detoxification is when your body flush out harmful chemicals and toxins. It is recommended that you detox one to two times a year. However, it is more beneficial to detox your body on a daily basis. Daily detoxification means thinking about the food you eat, the air you breathe and the water you absorb and drink. You can jumpstart this process by going through a guided cleanse with a health care professional. Clean living is a lifestyle change. You have to change the products you use for cleaning. Lemon juice and baking soda is an alternative to choosing cleaning products with chemicals. You even want to think about the type of moisturizer that you put on your face. Many face creams are filled with chemicals. Olive oil is a natural moisturizer that you can use as an alternative. It is important to extend cleaning living to your foods. You do not have to eat a complete organic diet, but you want to eat as clean as possible. It helps to avoid foods with antibiotics, hormones, preservatives and pesticides. High quality animal protein, vegetables and fruits are nutrient-rich foods that contains minerals and vitamins. These foods can strengthen your immune system and heal your stomach. On the other hand, toxic foods include dairy, gluten, caffeine, sugar and alcohol. If you eat a lot of fish that contains mercury or tuna, then you want to decrease your intake or eliminate altogether. It exposes your body to more toxins which are heavy metals. The body needs calcium to carry out different functions and to maintain strong bones. The majority of calcium is stored in your teeth and bones. It provides hardness and structure for these bones. Your need for calcium increases after the age of 50. It increases from 1,000 milligrams of calcium per day to 1,200 mg. At this point, your body does not produce as much estrogen, which makes it harder for your bones to absorb calcium. Many fruit juices, tofu, breakfast cereals and soy and rice beverages contain calcium. It helps to check the product label to see if a food contains the mineral. 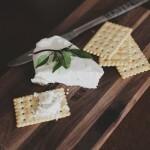 You want to add significant amounts of calcium to your diet. Another option is to take a dietary supplement. You can find calcium in multivitamins. There are dietary supplements that contains calcium with vitamin D or just calcium. The two common types of calcium dietary supplements are citrate and carbonate. If you are not sure about how much calcium the supplement contains, then you want to check the product label. It is best to consume no more than 500 mg of calcium at a time. You have to split the dosages throughout the day when taking more than 500 mg. The supplement also has to be taken with food. Food helps your body to absorb the mineral. It helps to take your calcium supplements with vitamin D. Vitamin D helps your body with absorbing it. You should talk to your doctor before taking the vitamin. Your levels of vitamin D tends to decline as you age. If you need more of this vitamin, then you need to include it in your diet. The sources for vitamin D includes a low-fat dairy diet fortified with vitamin D, fatty fish and sunlight. Calcium and vitamin D slows down weight gain in menopausal women. Many menopausal women associate their weight gain to hormonal fluctuations. Unbalance hormones are not always the culprit for the extra weight gain. After the age of 50, you tend to lose more lean muscle mass. Muscles burns more calories than fat. If you are not doing hard labor, then you are going to need to add weight lifting to your exercise routine. Not doing anything about muscle loss means it is going to take you longer to burn calories. Sarcopenia is a condition that occurs with aging. It reduces your muscle size and strength. A weight training program can prevent sarcopenia and help with preserving your muscle mass. It also improves your metabolism. You can benefit from adding intense weight training from one to three times a week. If you are new to strength training, then you should work with a professional fitness trainer. A trainer can teach you how to do the exercise and learn more about a variety of strength training exercises. You want to learn the proper techniques to prevent from hurting your body. Women have experience improvement in their bone density after adding weight training. It helps to understand that you are never too old to start a resistance training program. Strength training is beneficial psychologically and physically. If you stick to a well-organized strength training program, then you should see an increase in your muscle fiber size. This program is also necessary for decreasing your risk for osteoporosis and strengthening your bones. Women who have menopause experience a decrease in their levels of estrogen. Strength training exercises builds bone, muscle strength and burns body fat. These exercise include yoga, exercise bands, dumbbells, weight machines and even gardening. Gardening is very therapeutic and gives you a chance to enjoy the outdoors. An activity like gardening is an alternative for someone who does not like exercising. If you prefer to do an activity, then you want to make sure you are getting the same workout as a strength training program. You should set a goal to do strength training exercises at least two times a week. Without a strength training program, you will continue to lose lean muscle mass and possibly gain weight. During menopause, you may experience fluctuations in your energy levels. It is like being on a rollercoaster. Some days your energy will be really high then it will plummet to being really low. One of the most common symptoms for menopause is insomnia. This can lead to feeling extremely tired. At this stage, your body is producing less estrogen. The decrease in estrogen can create a variety of changes for your body. These changes can interrupt your sleep or make it harder to sleep. Menopausal women have to learn to cope and make lifestyle changes. If you feel that you need an energy boost, then you need to start tracking your progress. You want to write down how much sleep you are getting, the amount of stress you are experiencing and how active you are on a daily basis. These factors will have a big impact on your energy. You need to create a lifestyle that is more beneficial for a boost in energy. Energy is a necessity for you to do the exercises to lose weight. It also helps to do a workout routine that address these issues. There are stress busting exercises, which are very helpful for menopausal women. They help you to relieve stress and increases your energy. Stress busting exercises are important for a positive mindset, good mood and optimal health. Relaxation techniques are another way to increase your energy. These techniques include mediation, tai chi and yoga. It does not matter how you unwind at the end of the day, but you need to embrace relaxation. It could help you to indulge in your favorite activities like reading or taking a long walk. If you take the time to pamper yourself, then you will feel more energetic. Fatigue is a common complaint about menopause. It is especially a problem during the early stages. Your body is going through so many changes and has to adjust. Lack of sleep and fatigue affects your quality of life. It also leads to serious health problems. Sleep deprivation has been linked to diabetes, Alzheimer’s disease, stroke and high blood pressure. You have to learn how to cope with low energy. Other ways to boost your energy may include daily exercising, avoiding alcohol and caffeine, staying hydrated, limiting food portions and getting enough sleep. If you notice a difference in your energy, then you should schedule an appointment with your doctor. As we age, cholesterol levels increase for women and men. For the women, the change is even more substantial because of the link between menopause and cholesterol. Menopause is responsible for women having problems with high cholesterol. It is important that you start monitoring your cholesterol in the premenopausal phase and even more so after menopause. When your estrogen levels start to decrease, your HDL (good) cholesterol gets lowers. This change in quality HDL increases your risk for hardening of the arteries. You have to make some changes to see improvement in your cholesterol levels. If you are a smoker, then you should quit immediately. Smoking increases your chances for the early onset of heart disease. You will also need to maintain a healthy weight and live a healthy lifestyle. It is important to take note of your diet. You want to lower your cholesterol and saturated fat intake. Your diet should be filled with plenty of fat-free proteins, vegetables and fresh fruits. It also helps to focus on good fats like fatty fish, olive oil, nut butters and nuts. You have to combine healthy eating with regular exercise. A moderate to vigorous workout program can help you with getting the weight off. There is a chance that making these changes are not enough. Lifestyle changes does not have a significant effect on cholesterol after someone has been menopausal for a while. You will have to make these changes and take medication. Statin drugs are one of the medications for treating high cholesterol. They lower the risk for vascular mortality, stroke and heart disease. Prescription drugs are one of the options for keeping your cholesterol in check. It helps to talk to your doctor about your concerns. He or she can help you with deciding on the best medication for your condition. Menopause signifies the end of childbirth for women. It is something that every woman has to goes through. It is an experience that you should embrace. Weight gain is a normal aspect of aging and menopause. As women age, their bodies slow down and burn fat more slowly. This is not an excuse to do nothing. It just means you have to work harder. It is possible to maintain a reasonable weight when armed with the right knowledge. Many people get caught up in their lives and forget about exercising. You must continue to live a healthy lifestyle as you get older. The only way to counter weight gain from menopause is with a healthy diet and regular exercise. 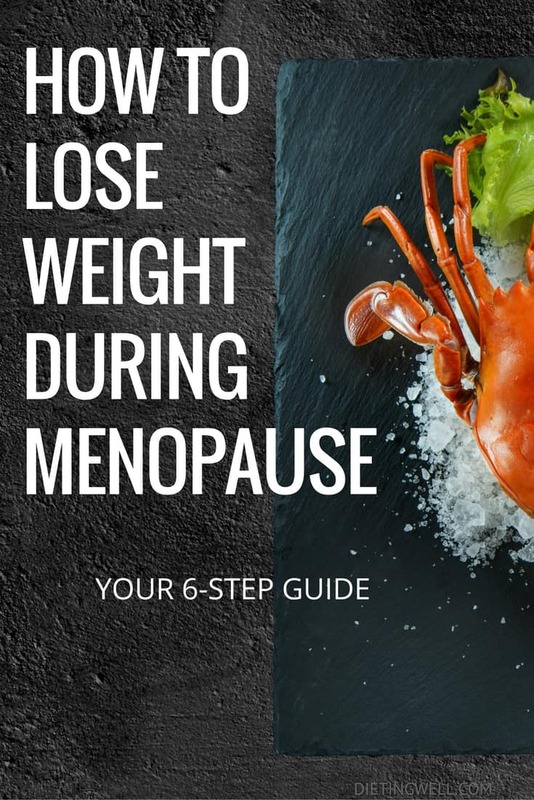 So what’s stopping you from losing weight during menopause? Tell me your challenges in the comments. Hi I’m 56 also hypothyroid. It’s been 201 days from my last cycle. I strength train and exercise but I have gained over the last year. I try and eat clean and watch portion size and get my 8 hrs of sleep. When will the layer of fluff disappear? After menopause? This is the second time I made it to 6 months. I still have crazy cravings of salt and chocolate . I hope that will diminish soon. Hi there, great post! I did have a question though I think you could answer. Can you treat ADHD without drugs? My doctor mentioned that I might have it but I’m not so sure. Any help you could provide is greatly appreciated! I’m starting premenaupose and I’m 50. Started to take pills and cream and the. I stoped it saying it leads to cancer. I’m still gaining weight and I’m a fashion consultant, clothes and being fashionable in my looks are deteriorating, I don’t like t go to the Gym, I like to drink one glass of wine or vodka every night. But I hate the way I look and I feel I am an old fat woman. I don’t understand the part where dairy is a toxin and to avoid it. A couple paragraphs down it states to increase calcium levels and one of the ways is with dairy. Explain please? I started using a progesterone cream and I felt like a new person. My skin wasn’t as dry. My completion was brighter. My belly fat is gone and my weight has stabilized. I am over 40 years and I also have asthma, my weight is 90KG and i’m wondering if I can loose weight without exersising- it is very hard for me to exersise, because of my asthma. Ugh I loathe change for one. Good, bad doesn’t matter, hate it. Im 50 and the premenopausal hit me like a mack truck. Im also bipolar and obviously on a few mental meds. Help me!